We'll start with the brickbats and bouquets though. Firstly, FL Studio is massive. In terms of bytes (it's the best part of a Gigabyte), concept (professional-grade music sequencing) and, yes, learning curve - it'll take an hour before you're at home with the interface and ten hours before you're really getting the most from it. Even after a month of tinkering with this (off and on, while waiting for bugs to be fixed), I'm still finding gestures that do interesting things that I didn't know about and I'm still hitting buttons that I didn't mean to hit because I've been a few pixels off beam and have triggered something I've never triggered before. 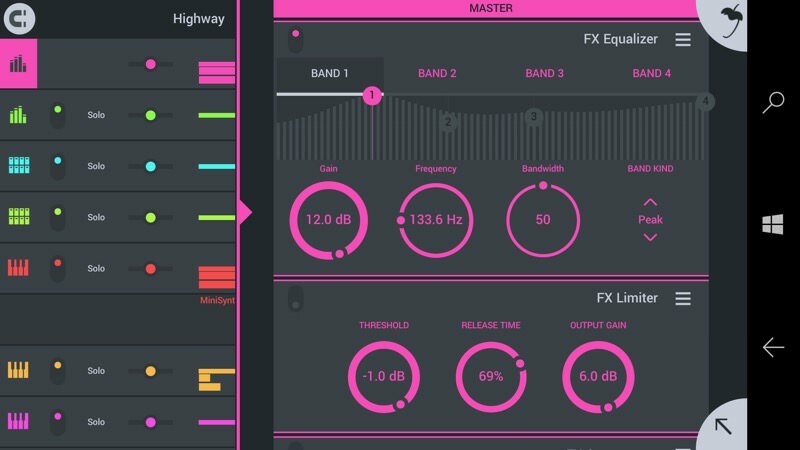 These aren't criticisms though - on the plus side, the scope here is incredible, think of dozens of virtual instruments, real time effects, real time EQ - master FL Studio Mobile 3 and, for anyone working with trance/sequenced music, your Windows 10 Mobile smartphone really can be a mobile recording and development studio. FL Studio 3 works with Continuum, of course, but you really need the touchscreen interface to get the most from it, so best stick with a Windows 10-running phablet like the X3 or Lumia 950 XL. Or a true Windows 10 tablet or even touchscreen hybrid/laptop. Note that FL Studio Mobile 3 also works on an iPhone or Android device,meaning that you don't actually have to use Windows 10 Mobile, but it's still pretty cool that the application is consistent right down into this part of Microsoft's Windows 10 ecosystem. 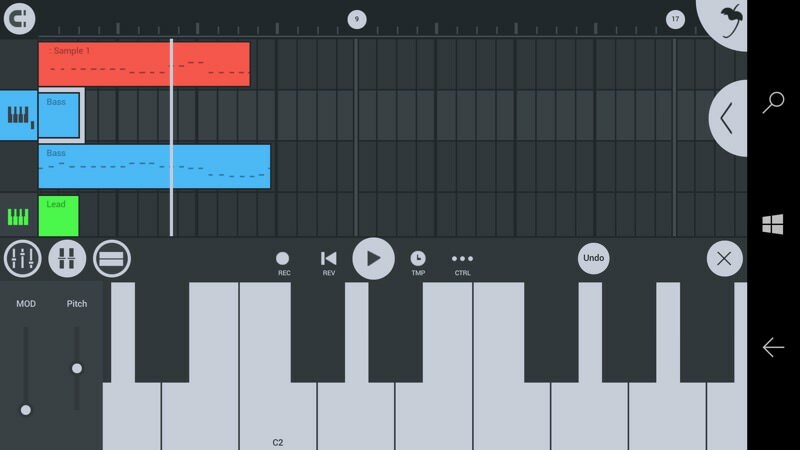 Anyway, should your creative juices need the outlet of an 'always with you' sequencer, the question is whether or not FL Studio Mobile 3 is worth the (unusual in the mobile world) high purchase price of £11. The answer is a resounding 'yes'. The interface looks very pastel and somewhat cluttered at times, but don't be fooled. Every single pixel of space is used - slide out controls and banks of other controls, slide-up keyboards, panels that respond to multi-touch pinch to zoom, buttons that expand to full on mixers, you get the idea. Not to mention that every beat of every track with every instrument is represented (as appropriate) in the main timeline. And yes, you can zoom in and out on this (by time) with a pinch or splay on the top bar. Hopefully you'll be as impressed as I was (and have been since). I've held off reviewing this for a couple of months since the first release versions were unstable and often led to crashes, but these have now (as at v3.1.9) been all but eliminated (the exception is described at the end, below!) and FL Studio Mobile 3 is now more or less ready for the prime time. 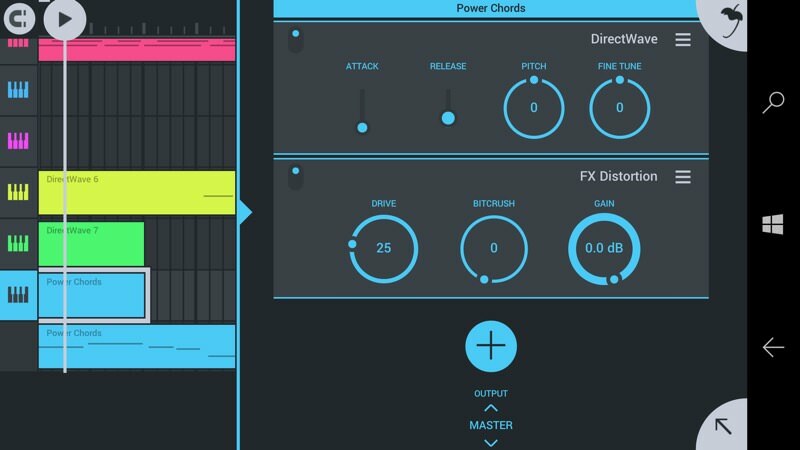 In addition to the massive palette of built-in sampled instruments (I refer you to that initial 1GB download again), you can plug in MIDI instruments (more relevant on a PC, obviously), buy others from the in-app shop (so your initial £11 isn't absolute, you may still want to pay more - but hey, this is the music business! ), mix in audio that you already have on your phone or even record some audio live. So, for example, you could set up a track and then listen on headphones while you add a vocal or two. Learning curve aside, this all works wonderfully on my test HP Elite X3, admittedly the most capable of the Windows 10 phones. The more horsepower the better in terms of dealing with the mass of real time processing going on. In FL Studio Mobile 3 we're not talking previews and then a final rendering pass, here we have 'live' effects, layer up on layer. As you can imagine, take ten tracks/instruments, add in a couple of real time effects and adjustments to each and then let the application composite/mix all this in real time, and you've got a real load on even modern processors. For logistics reasons I haven't tested this on a low end smartphone, but I'd suggest that a 5.7" screen, 3GB RAM and Snapdragon 810 are the minimum here. So effectively the Elite X3 and Lumia 950 XL at the moment. And of those requirements, I'd suggest that the screen size is the most important - there's simply a lot going on! 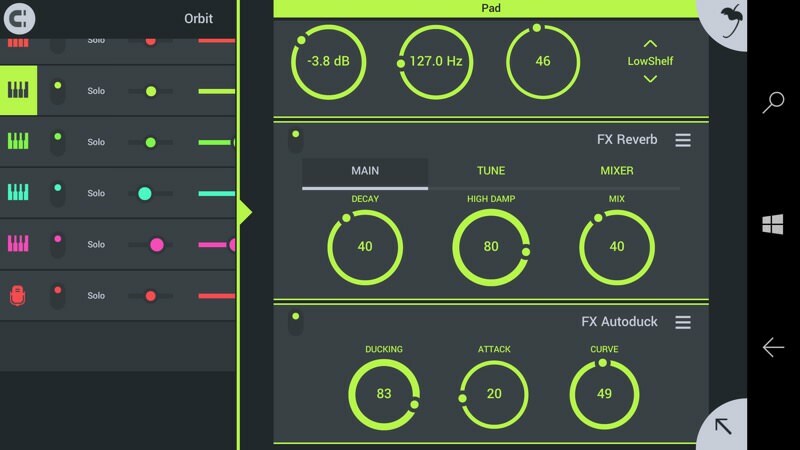 The range of virtual effects banks is extraordinary, think rack after rack in a real studio, all sanitised into bits and bytes and in your phone, applied in real time to any input, any track, without any cabling. The dials and controls are intuitive once you get the hang of dragging in the precise directions needed and at the right pace - some trial and error is needed here. 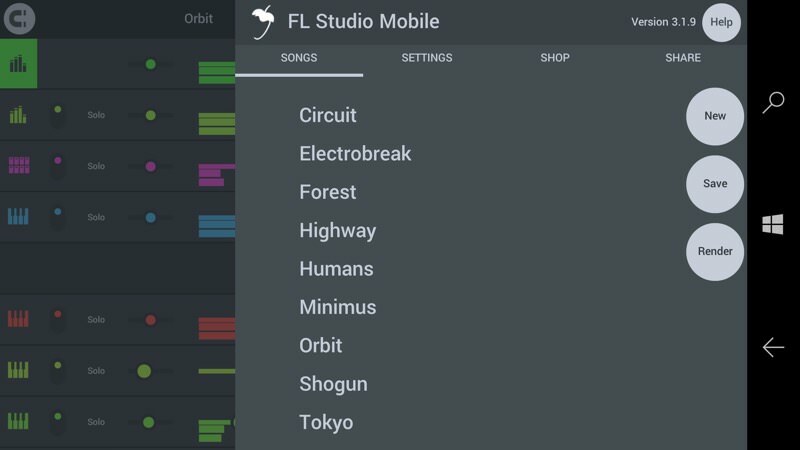 Helpfully, FL Studio Mobile 3 comes with a dozen or so sample projects, each a minute or two of music in various electronic styles, laid out with rhythm and melody tracks, so that you can what your own compositions are supposed to look like, at least, in the interface. Open a few of these up and play them, swiping up and down the track panorama and zooming in or out of the timeline, perhaps opening up the various mixer views, or fiddling with effects, and you'll get up to speed faster than if you just watch the video above and then try and create from scratch. 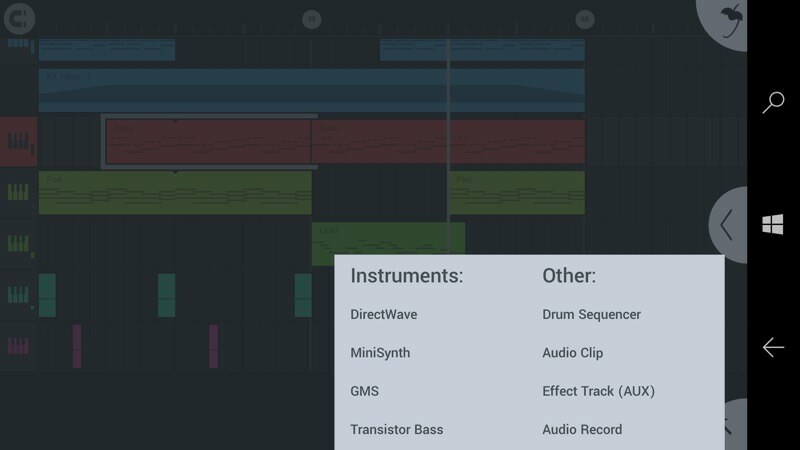 The use of colour (by default) to group instruments and types is clever, with effects banks popping out in the same colour to give your brain an extra clue as to what track you're modifying. 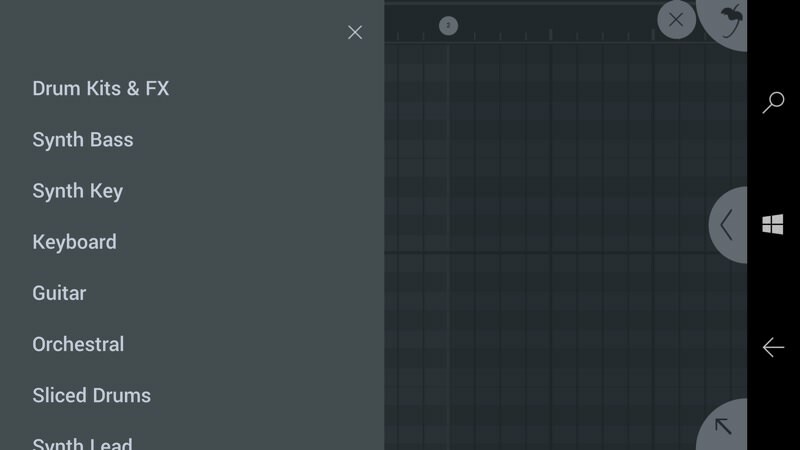 Long pressing any track tag on the left of the screen pops up extra options, including changing colours as you see fit - just another example of how flexible and customisable FL Studio Mobile 3 is. 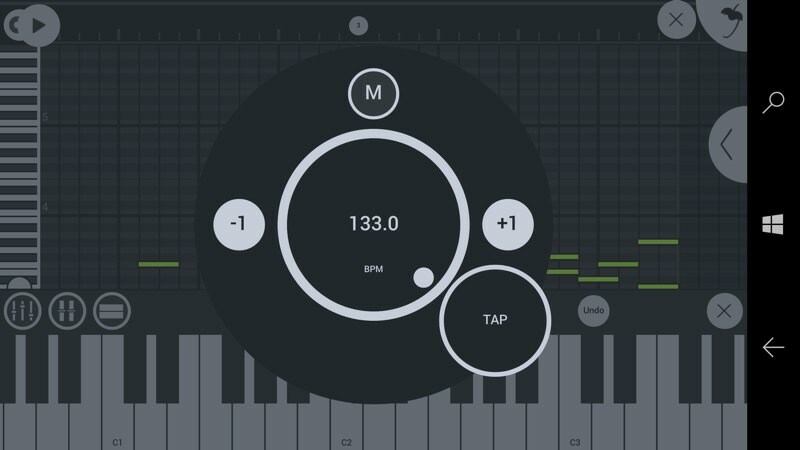 Although the number of features is too long to list here (including a doubled up piano keyboard for budding Rick Wakemans), I liked the pop-up tempo setter - if something needs to be faster or sloer than just tap away, either nudging the current setting or tapping at the rhythm you want and let the software work out what the bpm should be. When you're 100% happy wih your composition, when you've twiddled the effects and mixed the channels to perfection, then you can 'render' it out to a 'lossless' or 'compressed' form, though it's here that I have to reveal why I only scored the application at 79% above - you see, although you can save your projects, the current version is distinctly buggy when it comes to creating shareable audio - I experienced multiple crashes and to this day I still can't locate any of FL Studio Mobile 3's output on my phone. However, this isn't a total showstopper since it's going to take you weeks or months to create and perfect your masterpieces and the almost weekly updates from the developers here will by then have long since sorted out any saving bugs (which they've acknowledged). It's a question of faith in the programmers - they've worked miracles so far in the interface, so I'm sure they'll fix up the output stages as well to the same standard. I'll revisit this in a month or so and adjust the score when all this works properly. 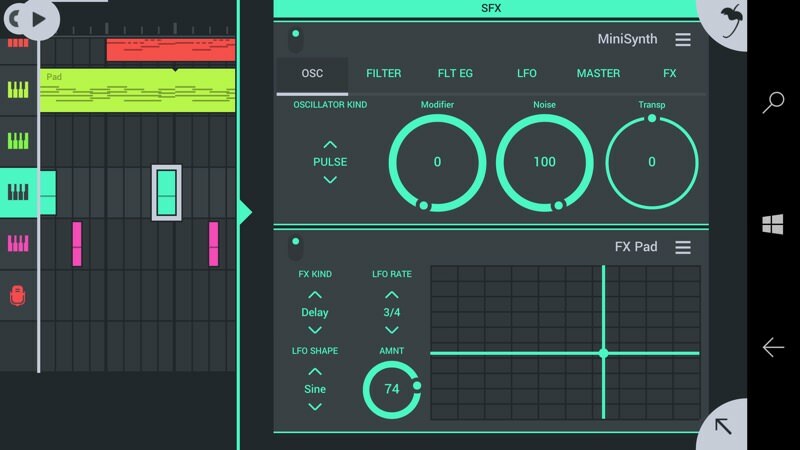 In summary, if all this (layering sequenced, pre-programmed tracks) sounds as if it's the way you want to create music then don't look further - and you can use this on the phone, tablet or laptop (though FL Studio Mobile 3 isn't Windows 10 only). Never mind the cost, it's still less than one round of beers for a traditional backing band! Having had some experience of both doing things this way and also being in a semi-professional rock band myself, recording in studios, I have to confess that, fun as the above is, it's not for everyone. 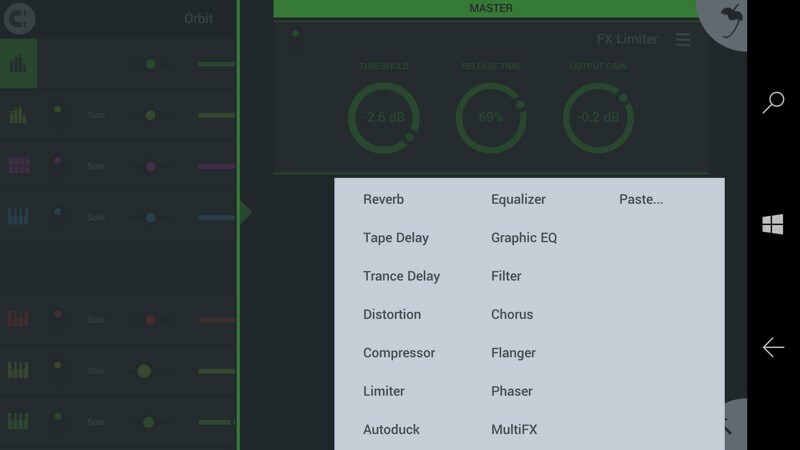 If you have a band, with real life musicians, talents (ok, not so much in my case), instruments, and so on, then you need a solution that's more about recording and mixing live audio from (preferably at least) four tracks simultaneously. And that's currently beyond any smartphone and beyond most off-the-shelf PCs, I believe (special sound hardware is needed). 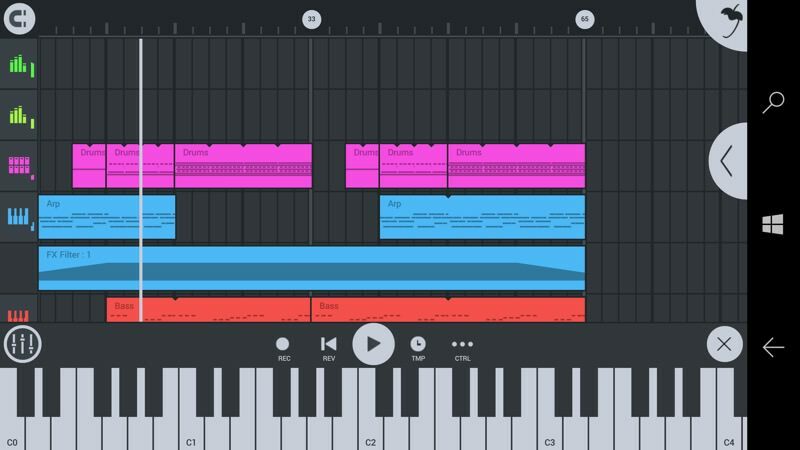 So FL Studio Mobile 3 isn't an all-purpose recording studio in your phone - it's keyed to loop/beat-based sequencing, even if you're going to be adding some natural, more improvised melody or vocals over the top. In musical terms, I'd say that FL Studio Mobile 3 is currently a 'flawed masterpiece'.